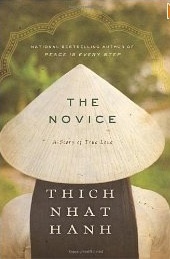 The Novice: A Story of True Love by Thich Nhat Hanh is a lovely and inspiring retelling of a Vietnamese folktale in novella form. Thich Nhat Hanh is Vietnamese Buddhist monk revered world-wide as a teacher, author, and peace activist. He was also nominated for the Nobel Peace Prize in 1967 by Martin Luther King Jr., for his opposition to the Vietnam war. He has authored many bestselling nonfiction books, including Peace is Every Step and, one of my personal favorites, Old Path, White Clouds - his telling of the Buddha's life story. Like Old Path, White Clouds, this is a fictional retelling of a classic tale, although outside of Vietnam this story is not as well-known as the Buddha's. It is the story of Kinh Tam, a beautiful young woman from a small town in Vietnam. From a young age, Kinh Tam is drawn to Buddhist teachings and practices, and she studies them with a village elder. Although she longs for the life of a monastic, she bows to her parent's wishes and marries. However, her marriage is short-lived, and through a misunderstanding she is accused by her in-laws of attempted murder. She ends up disguising herself as a young man, flees to a Buddhist monastery, and is initiated as a novice. In the monastery, Kinh Tam is a model initiate. She is deeply devoted to the dharma, and all are inspired by her devotion, humility, and wisdom. She becomes beloved by the local townspeople as well, which eventually leads to yet another false accusation - a young woman accuses the disguised Kinh Tam of fathering her out-of-wedlock baby, and Kinh Tam decides not to reveal her true gender, even though it would clear her of the charges, because she does not want to be forced to leave monastic life. She ends up raising the child as her own at the monastery, enduring the punishment and slander of the community with equanimity. In the end, her lovingkindness transforms everyone around her, including those that have victimized her. "Surely anyone who has lived on Earth has had to experience injustice of one kind or another. If we allow hatred and revenge to dictate our response, then our suffering will only go on and on. How do we find a way out? How can we free ourselves? A person who feels injured by another typically harbors thoughts of revenge, wanting to punish the offender. 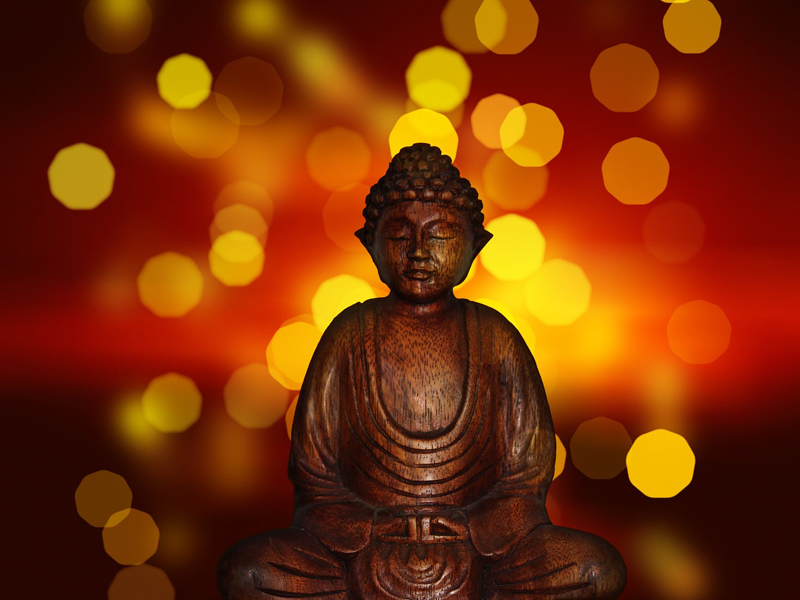 But the Buddha taught that hatred is never removed by adding more hatred. The only stream that can wash away the pain of unjust acts is the sweet water of loving-kindness and compassion. Without loving-kindness and compassion, hatred and vengeance will continue to accumulate from one year, and one lifetime, to the next." The story itself is fairly short, more of a novella than a full novel. The book is bolstered by two epilogues - one from a longtime student of Thich Nhat Hanh's, Sister Chan Khong, who tells of the great hardships her and many or her fellow monastics experienced when attempting to help villages during the Vietnam war. The second is from Thich Nhat Hanh himself, who shares some of his own difficult life experiences as an activist who was exiled from his home country, and falsely accused of many things. Both are eye-opening and inspiring, and frame the lessons of this tale in a much broader way. Overall, this book is a lovely way to introduce someone to the principles of non-violence, and to Buddhist concepts of loving-kindness and compassion.